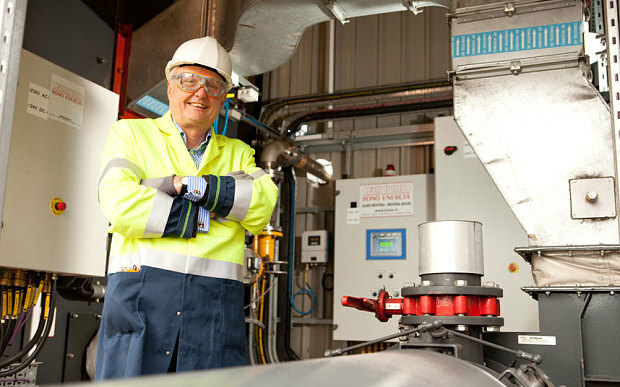 Teesside-based Chemoxy, which manufactures environmentally friendly solvents and other industrial chemicals, has secured £10m in growth capital from a £2.5bn fund back by the UK’s five big banks to increase capacity at its two factory sites. The investment, from the Business Growth Fund, is designed to allow Chemoxy to more than double revenues by 2020. Chemoxy, which was acquired from Dow Chemicals by its management in 2011, works with blue-chip companies across the chemical, agricultural, retail and oil and gas industries. Following the management buy-out by chief executive Ian Stark and chief operating officer Martyn Bainbridge, turnover increased from £34m to £50m within three years. To date, the company has invested £10m in new machinery and has acquired new land at its Billingham site in preparation for future growth. Chemoxy now employs more than 130 people. Middlesbrough-based Chemoxy makes solvents for products ranging from petrochemicals to fragrances. It manufactures its own range of low toxicity solvents, Coasol, which is sold to paint companies all over the world, and also runs a solvent recycling business. The company is one of the biggest contract chemical manuafcturers in the UK, exporting around 60pc of its products. Alongside the investment by BGF, which is backed by Barclays, Lloyds, HSBC, RBS and Standard Chartered, Chemoxy has secured a further £10m in working capital from RBS. BGF has taken a minority stake in the business, and will work with the management team to help expand the product range and drive growth. This is BGF’s third investment in the North East over the last 12 months. Teesside’s J&B Recycling, a waste management firm, and nearby housebuilder Cussins also secured investment from the fund. BGF has backed 26 British manufacturing businesses over the past three years. “This funding package supports our long-term ambitions for Chemoxy, with growth capital empowering us to expand the business without relinquishing control over its management or direction,” Mr Stark said.